It's less than two weeks before our ever amazing community joins around the globe to have a good time while improving the incoming Ubuntu release, 10.10, codenamed the Maverick Meerkat. 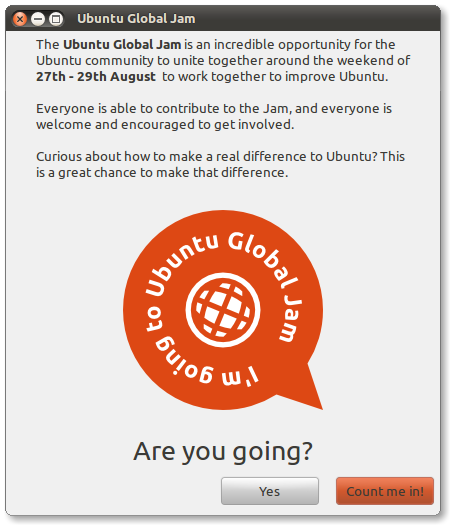 The Ubuntu Global Jam is a great opportunity to contribute to your favourite OS in any area you can participate in. There are plenty of proposed activities, such as Bugs, Testing, Upgrade, Documentation, Translations, Packaging, but it does not have to stop at that. Why not propose your own activities, or run meetings related to them? Marketing, advocacy... your imagination is the limit. We want to hear about your events! So far there are already 14 teams registered at the LoCo Directory for the Ubuntu Global Jam. It would be really cool to have a representation from as many LoCos as possible, so if you are still thinking about running a jam, or if you haven't added your event, why not go for it? There is still time! Adding a new Ubuntu Global Jam event in the LoCo Directory is really easy: it should not take you more than two minutes to do it, it will give more visibility to your LoCo, help people find a jam near them, and assist you with the planning. That's it, you're now part of the rocking list of LoCos running an Ubuntu Global Jam :). I'm sure it's going to be once more an awesome event. Don't forget to show off how your team is rocking by taking pictures and telling everyone about it. 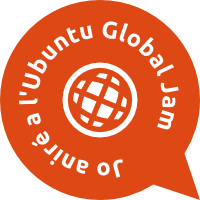 We'd like to hear as many fun stories about the Ubuntu Global Jam as possible!